New Delhi: The Supreme Court on Wednesday held RCom chairman Anil Ambani and two others guilty of contempt of court for violating its order by not paying dues of Rs 550 crore to Ericsson, and said they faced a three-month jail term if Rs 453 crore was not paid to the telecom equipment maker in four weeks. The Supreme Court held that the RCom chairman as well as Reliance Telecom chairman Satish Seth and Reliance Infratel chairperson Chhaya Virani breached the undertaking given to the apex court and related orders. A bench comprising Justices R F Nariman and Vineet Saran said if the ‘contemnors’ failed to make the payments within the specified period, they will undergo a jail term of three months. Ambani, Seth and Virani were present in the courtroom when the verdict was pronounced. The apex court also directed Reliance Communication, Reliance Telecommunication and Reliance Infratel to deposit Rs 1 crore each in four weeks to the apex court registry. If not, the chairpersons of these companies will have to undergo additional jail term of one month. It directed that Rs 118 crore already deposited by Reliance Group in the apex court registry be disbursed to Ericsson within a week. “From undertakings given by Reliance Group’s top brass, it appears they have wilfully not paid the amount to Ericsson despite orders and undertakings given,” it said. The bench said the three Reliance companies did not adhere to the 120 days deadline and 60 days extra given by the apex court to pay the Rs 550 crore to Ericsson. It said the undertakings given in the court were false to the knowledge of the court and affected the administration of justice. Minutes after pronouncement of the verdict, senior advocate Mukul Rohatgi, who appeared for Ambani, said he respects the decision of the apex court and expressed confidence that the group will honour the directions on payment of dues to Ericsson. “We respect the Supreme Court’s order. We have faced our difficulties. However, the court ruled the way it has ruled,” Rohatgi told PTI. “I am sure Rcom will honour the Supreme Court’s order,” Rohatgi added. 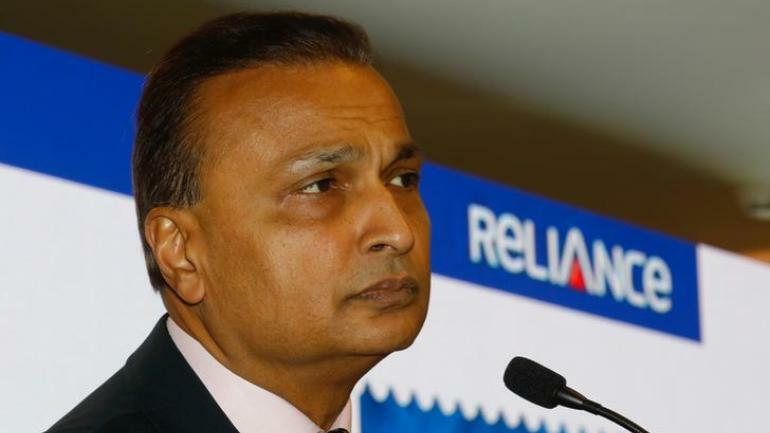 On February 13, the apex court reserved its judgement when Ericsson India alleged that the Reliance Group has money to invest in the Rafale jet deal but was unable to clear its Rs 550 crore dues, a charge vehemently denied by the Anil Ambani-led company. Ambani told the top court that with the failure of its assets sale deal with elder brother Mukesh Ambani-led Reliance Jio, his company has entered insolvency proceedings and is not in control of the funds. RCom told the court they had tried to move “heaven and earth” to ensure Ericsson gets its due but was unable to do so due to failure of the assets sale deal with Jio. The apex court had given one last opportunity to RCom on October 23 last year for clearing the settlement amount and had asked it to clear dues by December 15, 2018, saying delayed payment would attract an interest of 12 per cent per annum. It said Ericsson can revive its contempt plea against Reliance if the amount is not paid by December 15, 2018. Ericsson India, which signed a seven-year deal in 2014 to operate and manage RCom’s nationwide telecom network, alleged that it had not been paid the dues of over Rs 1,500 crore and challenged the debt-ridden firm before the National Company Law Appellate Tribunal (NCLAT).